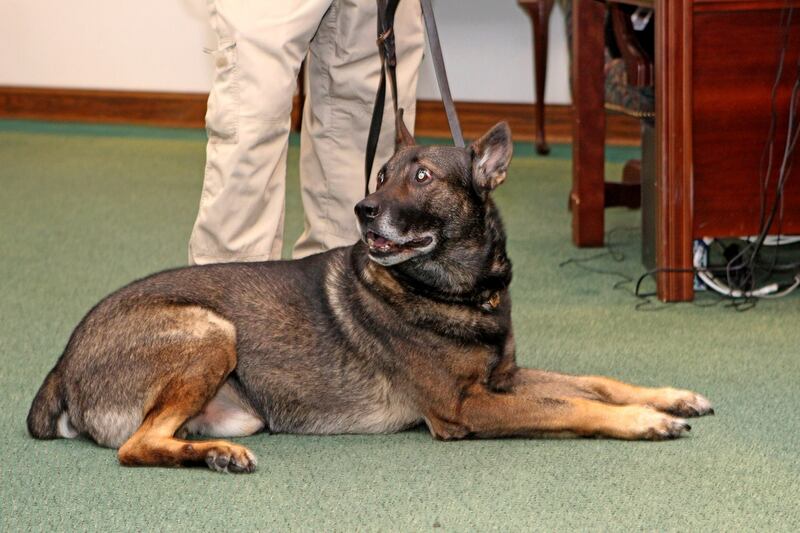 Recently, the Ocean City Police Department gave kudos to Koda, a retiring police K-9. Oftentimes, people give thanks to the officers in their local police departments for helping keep their communities safe from danger. But, how often do we thank police officers' furry partners for all the hard hours they log, working loyally by the officers' sides? 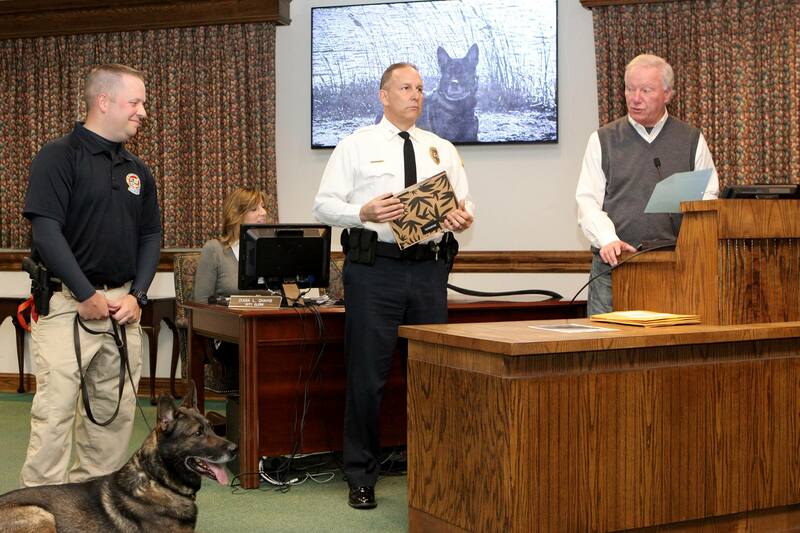 The Ocean City Police Department (OCPD) recently honored Koda, a retiring German shepherd police K-9, with his very own retirement ceremony. According to the Dispatch, OCPD's Koda came from Slovakia in 2012 to become Corporal Michael Kelly's partner. Over his career, Koda has been deployed over 600 times to help the police department on different cases. He's helped police officers seize thousands of dollars, make 100 arrests, find large amounts of drugs, locate illegal weapons, track suspects, and make six apprehensions. Talk about an accomplished officer! Then, after nearly seven years on the force, the police department decided to honor the retiring Koda for his dedication and help over the years at his own retirement ceremony, which was obviously very well-deserved. During the ceremony, Rick Meehan, the town mayor, listed Koda's impressive accomplishments to those attended. Even OCPD's Chief, Ross Buzzuro, joked that Koda was one of his most dependable officers! Then, the ceremony took on a more serious tone by reminding people how dangerous the life of a police K-9 can be; often, they lose their lives while helping the officers they're partnered with. Koda was one of the lucky ones to make it to his retirement, where he'll spend his remaining years doing all the fun, doggy things dogs love to do with Kelly and his family. What do you think about the OCPD honoring Koda with a retirement ceremony? Share your thoughts with us below! Looking for some fun athletic events in OC this winter? Check these out!